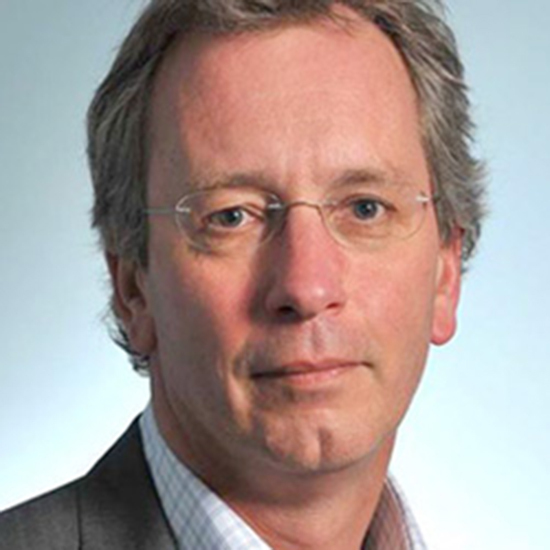 Tom van der Poll is Professor of Medicine and Chair of the Department of Medicine in the Amsterdam UMC, University of Amsterdam, the Netherlands. Van der Poll is board certified in Internal Medicine and Infectious Diseases. His training included a postdoctoral research fellowship at Cornell University Medical College in New York (1993-1995). Van der Poll is a former Fellow of the Royal Dutch Academy of Arts and Sciences (1995-2000). Van der Poll’s research focuses on pneumonia and sepsis, particularly on pathogenesis, the host response and biomarkers. He has published more than 800 articles on this topic. Scicluna BP, van Vught LA, Zwinderman AH, Wiewel MA, Davenport EE, Burnham KL, Nürnberg P, Schultz MJ, Horn J, Cremer OL, Bonten MJ, Hinds CJ, Wong HR, Knight JC, van der Poll T; MARS consortium. The immunopathology of sepsis and potential therapeutic targets. van der Poll T, van de Veerdonk FL, Scicluna BP, Netea MG. Incidence, Risk Factors, and Attributable Mortality of Secondary Infections in the Intensive Care Unit After Admission for Sepsis. van Vught LA, Klein Klouwenberg PM, Spitoni C, Scicluna BP, Wiewel MA, Horn J, Schultz MJ, Nürnberg P, Bonten MJ, Cremer OL, van der Poll T; MARS Consortium. JAMA. 2016 Apr 12;315(14):1469-79. doi: 10.1001/jama.2016.2691. Broad defects in the energy metabolism of leukocytes underlie immunoparalysis in sepsis. Cheng SC, Scicluna BP, Arts RJ, Gresnigt MS, Lachmandas E, Giamarellos-Bourboulis EJ, Kox M, Manjeri GR, Wagenaars JA, Cremer OL, Leentjens J, van der Meer AJ, van de Veerdonk FL, Bonten MJ, Schultz MJ, Willems PH, Pickkers P, Joosten LA, van der Poll T*, Netea MG*. Nat Immunol. 2016 Apr;17(4):406-13. doi: 10.1038/ni.3398. Epub 2016 Mar 7. N Engl J Med. 2013 Aug 29;369(9):840-51. doi: 10.1056/NEJMra1208623.